MCAT Sindh result has been announced by NTS. MCAT result test was held on 28th Oct 2018 in different cities of Sindh. NTS conducted entry test for MCAT Sindh which is valid for public and private Medical/Dental Colleges of Sindh. Like every year thousands of students apply for MCAT Sindh test but very little number of students succeeded due to high competition and limited number of seats. According to new rules and regulations applicants from Sindh can get admission in any public or private college on the basis of this result. 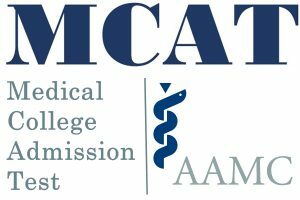 MCAT Sindh is considered to be one of the most difficult tests in Pakistan. Pakprep.com provides all material for the preparation of any medical and engineering test of Pakistan. 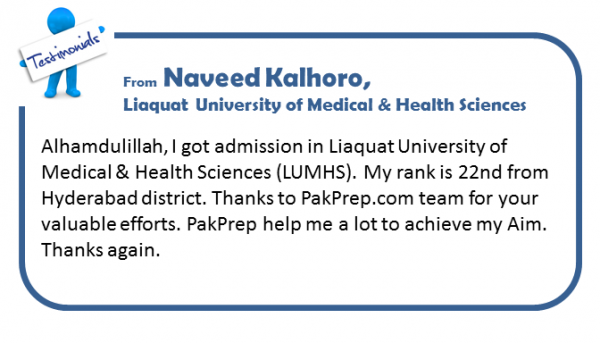 Pakprep.com have more than 15000 solved MCQ’s along with explanation. We also have past papers, MOCK test and smart analytics option. Smart analytics will help students to view their performance subject and topic wise. Our system will maintain a record of all your mistakes so that you can go through them just before entry test. MOCK test will give you real time experience of entry test so this will help students to manage their time in a better way. To start your preparation with Pakprep.com CLICK HERE. This entry was posted in Sindh Medical MCAT and tagged Biology MCQs for Sindh MCAT, Biology MCQs for Sindh MCAT Test, Chemistry MCQs for Sindh MCAT, Chemistry MCQs for Sindh MCAT Test, How many MCQs in Sindh MCAT, Jinnah Sindh Medical University (JSMU), Jinnah Sindh Medical University (JSMU) admission, Jinnah Sindh Medical University (JSMU) admission 2018, Jinnah Sindh Medical University (JSMU) admission date, Jinnah Sindh Medical University (JSMU) admission date 2018, Jinnah Sindh Medical University (JSMU) admission dates, Jinnah Sindh Medical University (JSMU) admission dates 2018, NTS MCAT 2018 result, NTS Sindh MCAT 2018 result, Physics MCQs for Sindh MCAT, Physics MCQs Sindh MCAT, Sample Physics MCQs for Sindh MCAT Test, Sindh MCAT 2018, Sindh MCAT 2018 result, Sindh MCAT Admission, Sindh MCAT Admission 2018, Sindh MCAT Admission date, Sindh MCAT Admission date 2018, Sindh MCAT Admission dates, Sindh MCAT Admission dates 2018, Sindh MCAT Admissions, Sindh MCAT Admissions 2018, Sindh MCAT Admissions date, Sindh MCAT Admissions date 2018, Sindh MCAT Admissions dates, Sindh MCAT Admissions dates 2018, Sindh MCAT BDS Admission, Sindh MCAT BDS Admission 2018, Sindh MCAT BDS Admission date, Sindh MCAT BDS Admission date 2018, Sindh MCAT BDS Admission dates, Sindh MCAT BDS Admission dates 2018, Sindh MCAT BDS Admissions, Sindh MCAT BDS Admissions 2018, Sindh MCAT BDS Admissions date, Sindh MCAT BDS Admissions date 2018, Sindh MCAT BDS Admissions dates, Sindh MCAT BDS Admissions dates 2018, Sindh MCAT BDS Registration, Sindh MCAT BDS Registration 2018, Sindh MCAT BDS Registration date, Sindh MCAT BDS Registration date 2018, Sindh MCAT BDS Registration dates, Sindh MCAT BDS Registration dates 2018, Sindh MCAT BDS Test, Sindh MCAT BDS Test 2018, Sindh MCAT BDS Test date, Sindh MCAT BDS Test date 2018, Sindh MCAT BDS Test dates, Sindh MCAT BDS Test dates 2018, Sindh MCAT date, Sindh MCAT date 2018, Sindh MCAT dates, Sindh MCAT dates 2018, Sindh MCAT MBBS Admission, Sindh MCAT MBBS Admission 2018, Sindh MCAT MBBS Admission date, Sindh MCAT MBBS Admission date 2018, Sindh MCAT MBBS Admission dates, Sindh MCAT MBBS Admission dates 2018, Sindh MCAT MBBS Admissions, Sindh MCAT MBBS Admissions 2018, Sindh MCAT MBBS Admissions date, Sindh MCAT MBBS Admissions date 2018, Sindh MCAT MBBS Admissions dates, Sindh MCAT MBBS Admissions dates 2018, Sindh MCAT MBBS Registration, Sindh MCAT MBBS Registration 2018, Sindh MCAT MBBS Registration date, Sindh MCAT MBBS Registration date 2018, Sindh MCAT MBBS Registration dates, Sindh MCAT MBBS Registration dates 2018, Sindh MCAT MBBS Test, Sindh MCAT MBBS Test 2018, Sindh MCAT MBBS Test date, Sindh MCAT MBBS Test date 2018, Sindh MCAT MBBS Test dates, Sindh MCAT MBBS Test dates 2018, Sindh MCAT registration, Sindh MCAT registration 2018, Sindh MCAT registration date, Sindh MCAT registration date 2018, Sindh MCAT registration dates, Sindh MCAT registration dates 2018, Sindh MCAT result, Sindh MCAT Test, Sindh MCAT Test 2018, Sindh MCAT Test date, Sindh MCAT Test date 2018, Sindh MCAT Test dates, Sindh MCAT Test dates 2018, Sindh Medical College, Sindh Medical College test, Sindh Medical College test admission, Sindh Medical College test admission date, Sindh Medical College test admission date 2018, Sindh Medical College test admission dates, Sindh Medical College test admission dates 2018, Sindh Medical College test date, Sindh Medical College test date 2018, Sindh Medical College test dates, Sindh Medical College test dates 2018, Sindh Medical College test registration, Sindh Medical College test registration 2018, Sindh Medical College test registration date, Sindh Medical College test registration date 2018, Sindh Medical College test registration dates, Sindh Medical College test registration dates 2018, Sindh Medical Colleges, Sindh Medical Colleges test, Sindh Medical Colleges test admission, Sindh Medical Colleges test admission date, Sindh Medical Colleges test admission date 2018, Sindh Medical Colleges test admission dates, Sindh Medical Colleges test admission dates 2018, Sindh Medical Colleges test date, Sindh Medical Colleges test date 2018, Sindh Medical Colleges test dates, Sindh Medical Colleges test dates 2018, Sindh Medical Colleges test registration, Sindh Medical Colleges test registration 2018, Sindh Medical Colleges test registration date, Sindh Medical Colleges test registration date 2018, Sindh Medical Colleges test registration dates, Sindh Medical Colleges test registration dates 2018, Sindh Medical MCAT on November 1, 2018 by Pakprep.com Admin. NTS has announced answer keys of Sindh MCAT test held on 28th Oct 2018. This test was valid for MBBS and BDS admissions in Sindh public and private colleges. They will announce their result within a weak, but they have announced answer keys for all booklets. Thousands of students apply for this test like every year but very less number of students can secure seats. 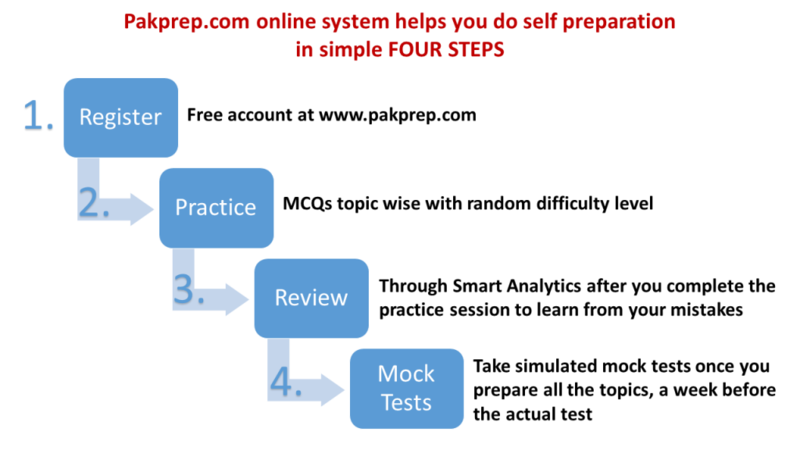 Pakprep.com provides full material for the preparation of any medical and engineering entry test in Pakistan. 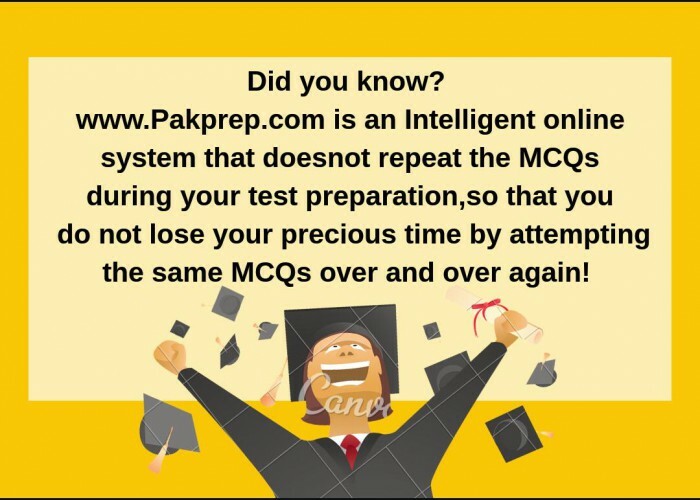 Pakprep.com have more than 15000 solved quality MCQ’s along with explanation. Our smart analytics will keep track of all your tests and create a separate log for your mistakes so that you can revise them just before your test. To start your preparation today for any medical and engineering test CLICK HERE. This entry was posted in Sindh Medical MCAT and tagged Jinnah Sindh Medical University (JSMU), Jinnah Sindh Medical University (JSMU) admission, Jinnah Sindh Medical University (JSMU) admission 2018, Jinnah Sindh Medical University (JSMU) admission date, Jinnah Sindh Medical University (JSMU) admission date 2018, Jinnah Sindh Medical University (JSMU) admission dates, Jinnah Sindh Medical University (JSMU) admission dates 2018, Sindh MCAT 2018, Sindh MCAT Admission, Sindh MCAT Admission 2018, Sindh MCAT Admission date, Sindh MCAT Admission date 2018, Sindh MCAT Admission dates, Sindh MCAT Admission dates 2018, Sindh MCAT Admissions, Sindh MCAT Admissions 2018, Sindh MCAT Admissions date, Sindh MCAT Admissions date 2018, Sindh MCAT Admissions dates, Sindh MCAT Admissions dates 2018, Sindh MCAT Answer keys, Sindh MCAT BDS Admission, Sindh MCAT BDS Admission 2018, Sindh MCAT BDS Admission date, Sindh MCAT BDS Admission date 2018, Sindh MCAT BDS Admission dates, Sindh MCAT BDS Admission dates 2018, Sindh MCAT BDS Admissions, Sindh MCAT BDS Admissions 2018, Sindh MCAT BDS Admissions date, Sindh MCAT BDS Admissions date 2018, Sindh MCAT BDS Admissions dates, Sindh MCAT BDS Admissions dates 2018, Sindh MCAT BDS Registration, Sindh MCAT BDS Registration 2018, Sindh MCAT BDS Registration date, Sindh MCAT BDS Registration date 2018, Sindh MCAT BDS Registration dates, Sindh MCAT BDS Registration dates 2018, Sindh MCAT BDS Test, Sindh MCAT BDS Test 2018, Sindh MCAT BDS Test date, Sindh MCAT BDS Test date 2018, Sindh MCAT BDS Test dates, Sindh MCAT BDS Test dates 2018, Sindh MCAT blue answer keys, Sindh MCAT blue book answer keys, Sindh MCAT blue booklet answer keys, Sindh MCAT date, Sindh MCAT date 2018, Sindh MCAT dates, Sindh MCAT dates 2018, Sindh MCAT green answer keys, Sindh MCAT green book answer keys, Sindh MCAT green booklet answer keys, Sindh MCAT MBBS Admission, Sindh MCAT MBBS Admission 2018, Sindh MCAT MBBS Admission date, Sindh MCAT MBBS Admission date 2018, Sindh MCAT MBBS Admission dates, Sindh MCAT MBBS Admission dates 2018, Sindh MCAT MBBS Admissions, Sindh MCAT MBBS Admissions 2018, Sindh MCAT MBBS Admissions date, Sindh MCAT MBBS Admissions date 2018, Sindh MCAT MBBS Admissions dates, Sindh MCAT MBBS Admissions dates 2018, Sindh MCAT MBBS Registration, Sindh MCAT MBBS Registration 2018, Sindh MCAT MBBS Registration date, Sindh MCAT MBBS Registration date 2018, Sindh MCAT MBBS Registration dates, Sindh MCAT MBBS Registration dates 2018, Sindh MCAT MBBS Test, Sindh MCAT MBBS Test 2018, Sindh MCAT MBBS Test date, Sindh MCAT MBBS Test date 2018, Sindh MCAT MBBS Test dates, Sindh MCAT MBBS Test dates 2018, Sindh MCAT pink answer keys, Sindh MCAT pink book answer keys, Sindh MCAT pink booklet answer keys, Sindh MCAT registration, Sindh MCAT registration 2018, Sindh MCAT registration date, Sindh MCAT registration date 2018, Sindh MCAT registration dates, Sindh MCAT registration dates 2018, Sindh MCAT Test, Sindh MCAT Test 2018, Sindh MCAT Test date, Sindh MCAT Test date 2018, Sindh MCAT Test dates, Sindh MCAT Test dates 2018, Sindh MCAT white answer keys, Sindh MCAT white book answer keys, Sindh MCAT white booklet answer keys, Sindh MCAT yellow book answer keys, Sindh MCAT yellow booklet answer keys, Sindh MCAT yelow anser keys, Sindh Medical College, Sindh Medical College test, Sindh Medical College test admission, Sindh Medical College test admission date, Sindh Medical College test admission date 2018, Sindh Medical College test admission dates, Sindh Medical College test admission dates 2018, Sindh Medical College test date, Sindh Medical College test date 2018, Sindh Medical College test dates, Sindh Medical College test dates 2018, Sindh Medical College test registration, Sindh Medical College test registration 2018, Sindh Medical College test registration date, Sindh Medical College test registration date 2018, Sindh Medical College test registration dates, Sindh Medical College test registration dates 2018, Sindh Medical Colleges, Sindh Medical Colleges test, Sindh Medical Colleges test admission, Sindh Medical Colleges test admission date, Sindh Medical Colleges test admission date 2018, Sindh Medical Colleges test admission dates, Sindh Medical Colleges test admission dates 2018, Sindh Medical Colleges test date, Sindh Medical Colleges test date 2018, Sindh Medical Colleges test dates, Sindh Medical Colleges test dates 2018, Sindh Medical Colleges test registration, Sindh Medical Colleges test registration 2018, Sindh Medical Colleges test registration date, Sindh Medical Colleges test registration date 2018, Sindh Medical Colleges test registration dates, Sindh Medical Colleges test registration dates 2018, Sindh Medical MCAT on October 30, 2018 by Pakprep.com Admin.